Growing up on the links in Scotland, Colin Montgomerie has played golf’s finest courses, and he is now set on designing a few of his own. In a recent visit to Riffa Views in the Kingdom of Bahrain, Montgomerie carried out an inspection on the progress of his desert course. The ground team is managed by Braemar-Nass’s Golf Courses Director Jonathan Pendry. Pendry was gratified with Colin’s statement of confidence citing, “Riffa Views is Braemar-Nass’s first project in the Middle East, and we have demonstrated our understanding of Colin’s vision and our ability to execute in this part of the world.” During his visit, Montgomerie, along with his chief architect Robin Hiseman conducted a thorough inspection of the four newly grassed holes that completes the front nine. Montgomerie and Hiseman overwhelmingly awarded their stamps of approval to Braemar-Nass and to Project Manager Martin Champion. 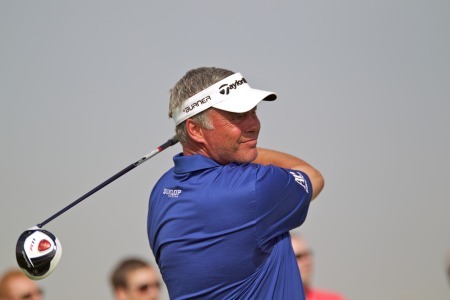 Riffa View’s CEO Richard Browning feels that, “Having Colin involved in the development lends integrity to the golf course and an international appeal to the signature lifestyle we offer. Riffa Views Signature Estates is a spectacular community in the Kingdom of Bahrain offering luxury homes amidst amenities that include an international school, restaurants, and shopping. At the centre of the development are 27 holes of Montgomerie-inspired golf featuring an 18-hole championship course and a nine-hole executive course.